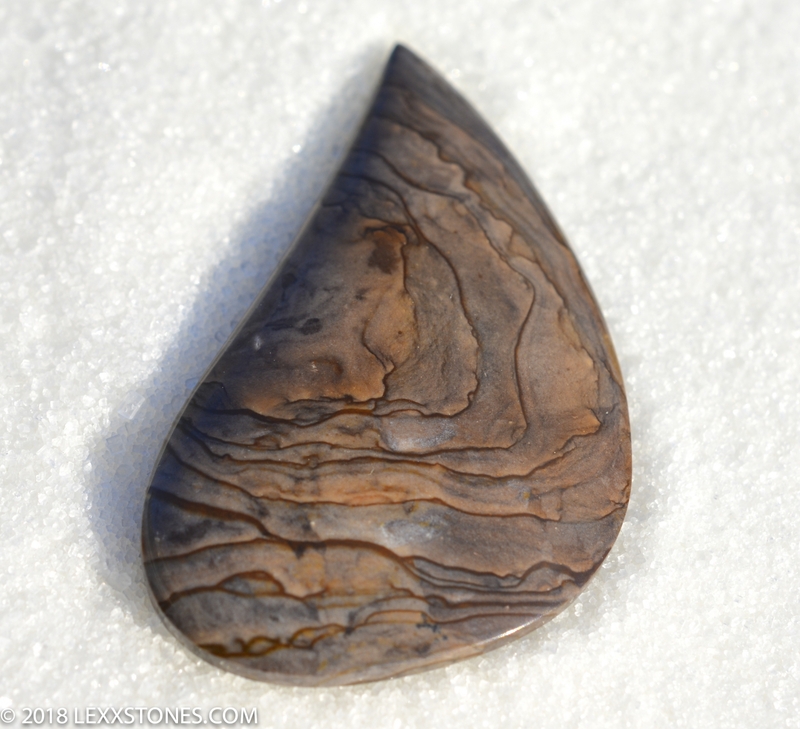 Here for your consideration is an outstanding,scenic Blue Biggs Jasper Cabochon. 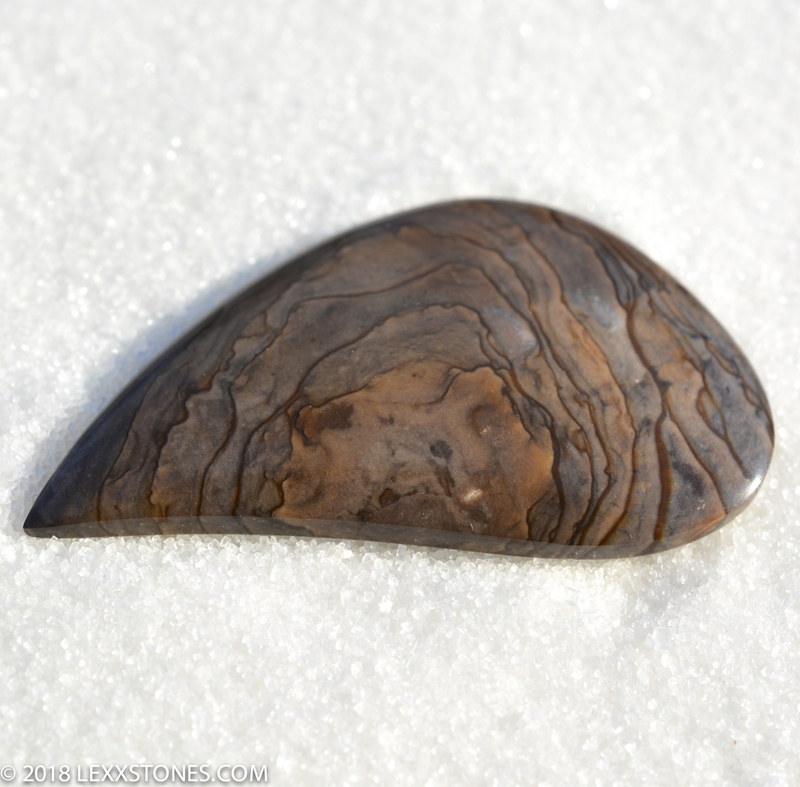 Biggs Jasper, also known as “Biggs-Formation Picture Jasper” is a combination of chalcedony, sedimentary microcrystalline quartz, and silicated volcanic ash. It was formed during a volcanic eruption and is part of a Miocene series of rocks called the John Day Formation, near Biggs, Oregon. This jasper was discovered in the 1960s, while building Highway 97 near Biggs Junction, Oregon. It has been since paved over and has become quite scarce. These stones are highly-prized, which is often cut to represent landscape scenery. Biggs Jasper is a natural wonder depicting the great beauty of the earth it was born in. Vitreous polish front and back. Standard radius dome. Skillfully hand cut and polished by Lexx. Photographed dry under full spectrum LED's.